As a Mom of a child with food allergies, I’ve become a natural, healthy-eating, whiz in the kitchen with lots of input from my kids. I am always experimenting with chemical-free, real foods to find recipes for my family. I’d like to share with you some quick-fix, easy ways to get back to cooking from scratch with real, unprocessed ingredients. It’s easy to make satisfying snacks the kids will love that don’t come from a can or a box. A great way to get protein and the antioxidant power of chocolate! The kids won’t even miss the ice cream. As a variation, add nuts or use different kinds of fruit. These make great on-the-go breakfasts and snacks. As a Mom on a mission to eliminate processed foods, I wrote a book called Processed Kids compiling my personal journey, expert advice, and many more recipes that I look forward to sharing with you each month. I love meeting and connecting with other moms and groups on a mission and would love to come speak and share at your next meeting. 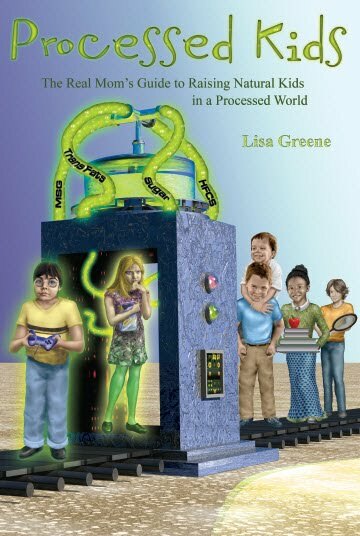 Go to www.processedkids.com for more information, to purchase my book, or to share your recipes with me!